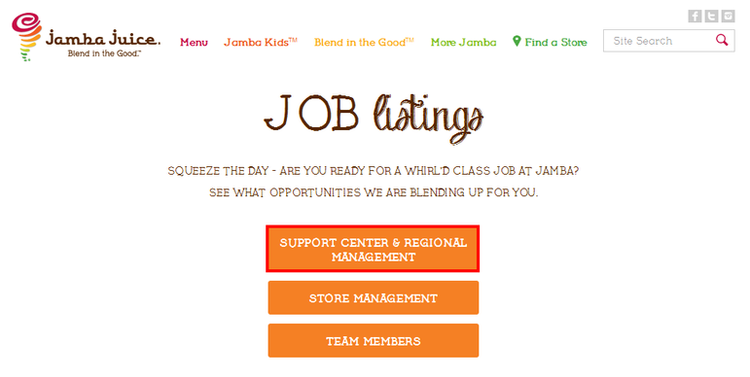 Open the official site of Jamba Juice, click on STORE CAREER PATHS to get further information about store employees’ treatment and responsibilities, or click on JOB LISTS to check current job openings. 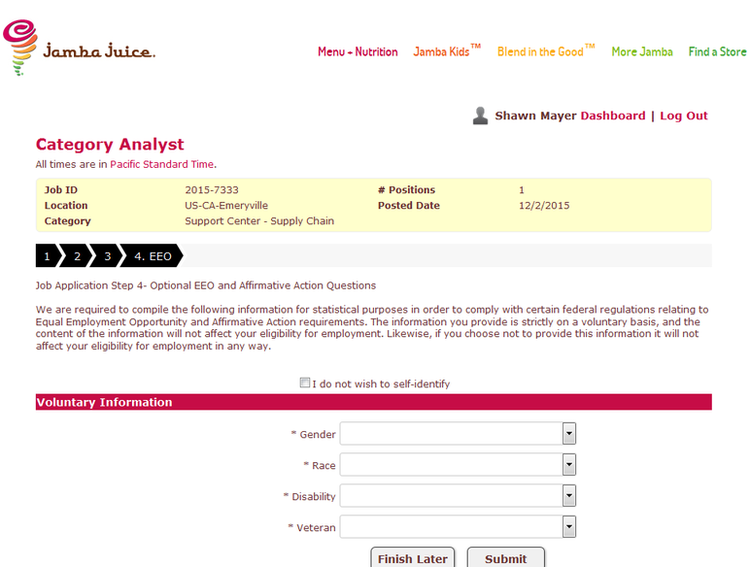 You can also find JOB LISTINGS lying below in STORE CAREER PATHS unit. Knowing about the information of store career paths, now it’s time to know about the positions. Click JOB LISTINGS to begin. Jamba Juice offers three types of position. 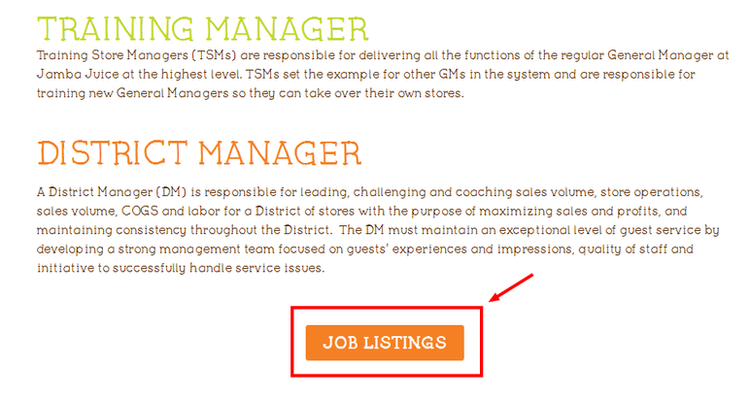 Click on a type and find a position that you wish to apply. 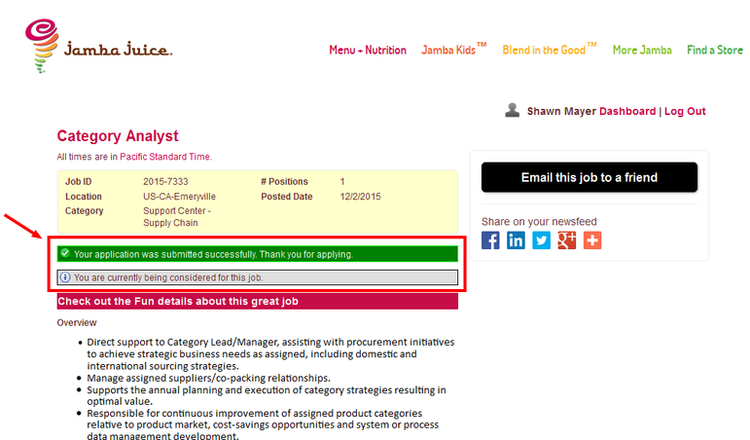 In the job search page we can use search to narrow down some positions with keywords, category and location. Or you can click on the job title that you have locked. Confirming your qualified for the job and well known about the job responsibilities, you can move on to Apply For This Job Online. 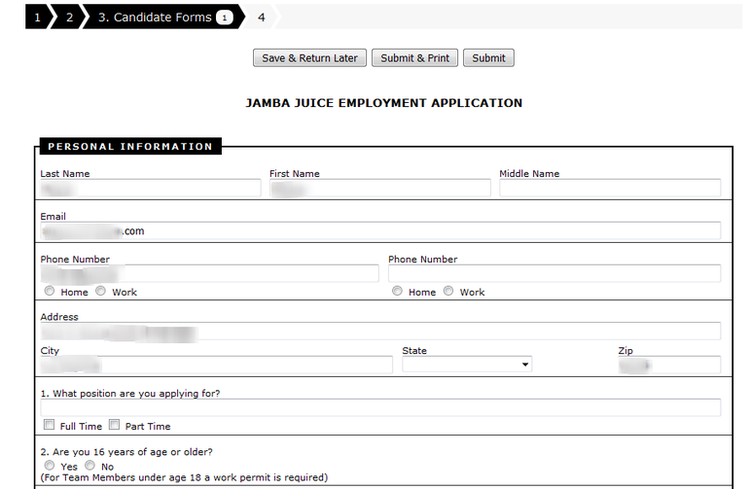 Jamba Juice requires to register for the first time to apply on its site. 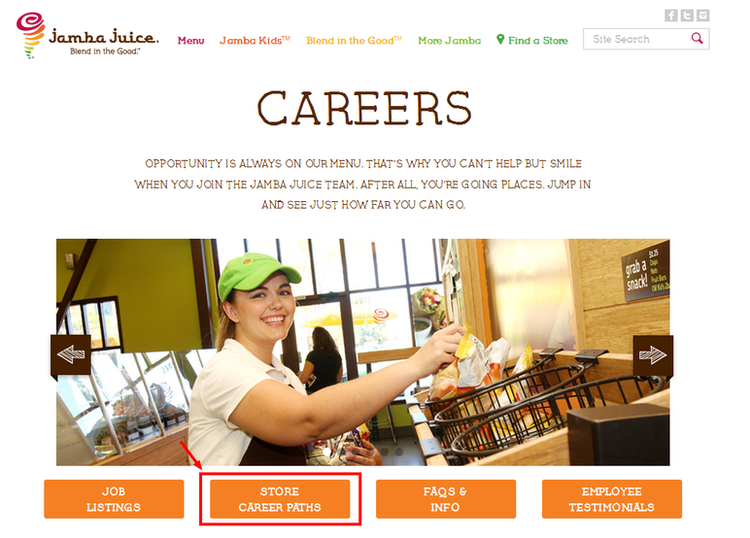 Jamba Juice provides five options to create an account: upload your profile from Linkedin, Facebook and Gmail, or create a log-in with resume from your computer or fill out the online CV manually. Here is a detailed application form, please finished it with your patience and authentic personal information. This is the part about some personal questions, including your race, disability and gender. You can refuse to answer if you don’t want to. The time you see the green bar, the time you have finished the whole process of application. All you need is to wait for Jamba Juice’s contact. 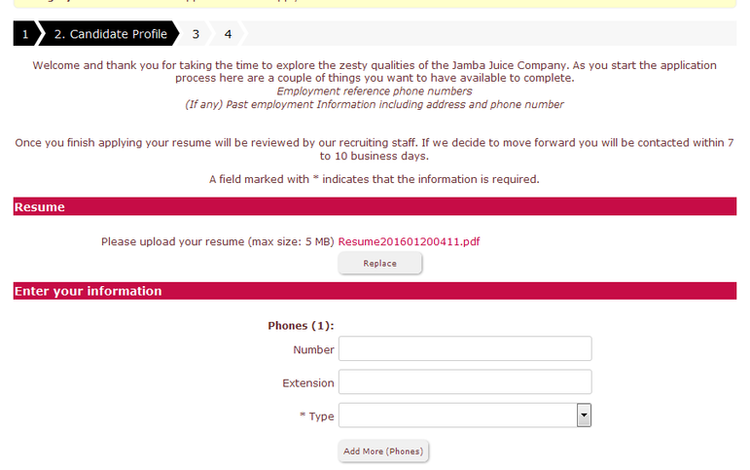 Click jambajuice.com to apply for Jamba Juice jobs online.